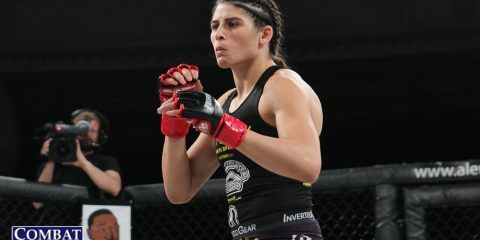 Every week, Combat Press takes a look at three regional, developmental or international cards from the upcoming weekend, previewing from each a single fight to which people should pay close attention. We will also list other significant bouts from the card, as well as information on how to follow each promotion and watch the events. Deep’s 78th card features some familiar veteran names. There’s headliner Guy DeLumeau. There’s submission specialist Masakazu Imanari. There’s open weight kingpin Ken Hasegawa. However, we’re not talking about any of those men this week. Instead, we’re talking about a kid who has yet to celebrate his 20th birthday. The youngster in question is flyweight fighter Naoki Inoue. The undefeated Inoue gets another veteran test when he clashes with Tomohiro Adaniya. Naoki Inoue’s last name is not an uncommon one in Japan, but this fighter shares more than just a name with a more well-known mixed martial artist. Naoki is the 19-year-old brother of Invicta star Mizuki Inoue. Naoki, much like his sister, has been fighting since an early age. The Hakushinkai Karate product was just 16 when he made his pro debut in February 2014 with a submission win over fellow rookie Gaku Sakamoto. His next stop was the one-night Deep 2014 Flyweight Future King Tournament, in which Inoue again claimed victory with a first-round submission finish of his opponent. He has gone on to add seven more wins to his resume, including five more submission finishes. Naoki doesn’t have the name recognition of his sister, but he’s still extremely young. Give it time. He’ll have to keep an unblemished record, too, but that’s entirely possible. Adaniya checks in a full decade older than his rival. The Toushin Dojo export has been fighting professionally since 2007 and has quite a rocky resume. 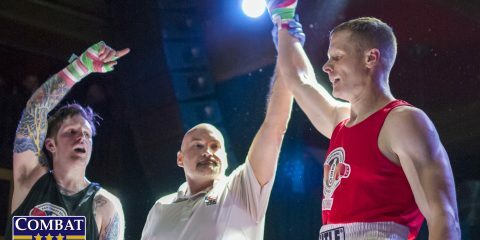 He captured wins in his first three bouts, but then went on a three-fight skid and fought to a draw in his seventh outing. It’s mostly been a couple of ups and a couple of downs ever since. Adaniya did compile a six-fight winning streak in 2011, but he’s only had one set of back-to-back wins since 2012. He does have six wins via strikes and five submission finishes, but he has also been knocked out once and submitted six times. The young Inoue is a talented grappler with a growing list of submissions to his name. The armbar is his favored hold, but he’ll attack the neck as well. Adaniya seems like the perfect victim for Inoue. This is a veteran fighter coming off a victory — under his career trend, this means he’s due for a defeat — and lacking in solid submission defense. It would be stunning if Inoue came away with anything other than a tapout victory. Youth and unblemished records seem to be the theme of this week’s preview. Tech-Krep Fighting Championship’s latest offering contributes to this theme with the inclusion of 23-year-old welterweight champion Yaroslav Amosov. The Ukrainian titleholder is set to put his belt on the line against Brazilian challenger Anderson Queiroz. Amosov’s tender age makes his 17-fight run all the more impressive. The “Dynamo” kicked things off in 2012 with the first of nine straight stoppage victories. He didn’t go the distance until his 10th fight, his Tech-Krep debut against Oleg Olenyechev. He added another streak of six straight finishes after taking the nod over Olenyechev. 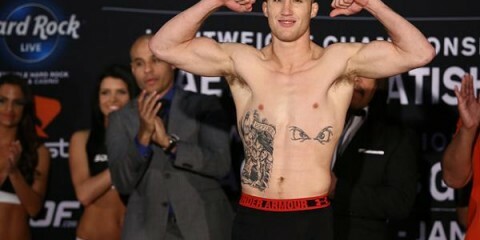 His most recent affair, however, ended in a split verdict against Roberto Soldic for the Tech-Krep welterweight title. An injury prevented Amosov from defending his belt in October. Overall, the Germes and Combat Dobro fighter has eight finishes via strikes and seven submission victories. He has a combat sambo base and has won a Ukrainian combat sambo championship, but his skills are still very raw in the MMA realm. He’s aggressive and hangs in there even when he’s getting hit, though, which makes him a tough opponent for any man. The 30-year-old Queiroz had an odd start to his pro career. He lost a fight in 2007 and didn’t return to action until 2011. His first two fights ended in split decisions, one in his favor and one against. His third fight also went the distance, but it added a second loss to Queiroz’s resume. He finally found his groove in his fourth fight and rattled off seven straight wins before suffering another loss. Following another rough three-fight patch in which he only won one contest, Queiroz once again recovered and put together his current seven-fight winning streak. He has seven wins via strikes and two submission finishes, but he has been put away by strikes on two occasions. Anyone keeping track of our list of emerging stars to watch for in 2017? 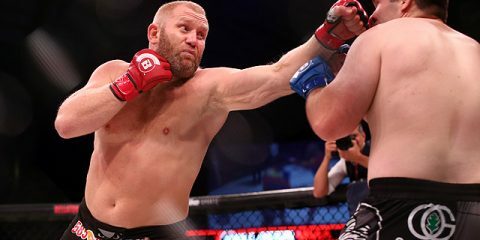 We’ve already seen at least one of those men compete inside the Octagon and another sign with the UFC, but plenty of these prospects still need to add a win or two to their record before taking that final step. Rogério Bontorin is among this latter group. He’ll take to the cage at the third effort from Brave Combat Federation. Bontorin faces upstart Jon Olivar, Jr., in a featherweight contest. Bontorin is a young up-and-comer who has yet to taste defeat since turning pro in 2013. The 24-year-old won six of his first seven fights by choke submission — the remaining contest went to the scorecards — before shifting to targeting limbs with his submissions in his next three outings, resulting in one heel hook and two armbar finishes. The Brazilian has defeated veterans Israel Silva Lima and Ivonei Pridonik and handed Cristiano Souza the first loss of the prospect’s young career, but he has also seen his fair share of inexperienced and overmatched adversaries. The Noguchi Team and Gile Ribeiro product appeared in an XFC International flyweight tournament and most recently emerged as the winner of an Imortal FC flyweight tourney. 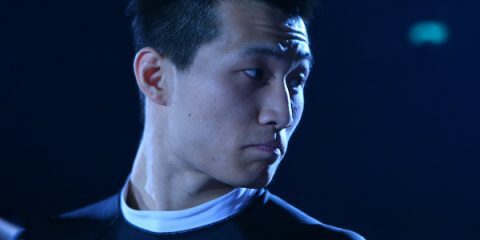 He was set to make his Pancrase debut in October against the legendary Mamoru Yamaguchi, but he suffered an injury and was forced to withdraw from the contest. Instead, his Pancrase debut came in December, when he met Takeshi Kasugai. The Brazilian put on a marvelous display and submitted Kasugai in just over two minutes, but he had missed weight the day before and the fight was therefore ruled a no-contest. Olivar has a much shorter career, but he, too, maintains a spotless mark. The Filipino fighter took a decision victory in his pro debut in 2013, but he didn’t make his sophomore appearance until a full two years later. The Lakay La Trinidad fighter continued to add victories, however. He submitted rookie Johnson Alde and sub-.500 fighters Joseph Pasiwat and Jonel Borbon to bring his record to its current standing. Bontorin has fought primarily at flyweight up to this point in his career, but will step up to featherweight here. Olivar, meanwhile, is stepping up from the bantamweight division. With both men moving up, size shouldn’t be too much of a factor. Olivar is particularly out of his depth here. He’s fought a set of opponents with little to no experience and very few wins. Now, he’s set to march into action against one of the world’s top prospects. Bontorin has defeated veteran and impressed even in his no-contest against Kasugai, an opponent who entered the fight with a 20-4-1 record. Bontorin is quite capable of overwhelming an opponent with strikes, but he’s even more lethal on the mat. Is Olivar ready for this level of competition? Not a chance. Aspera Fighting Championship has reached the milestone of its 50th event. The Brazilian promotion has featured a number of prospects along the way, and this event is no different. How’s a prospect with back-to-back victories over UFC veterans sound? Middleweight Markus “Maluco” Perez might not have made it far in his stint on The Ultimate Fighter: Brazil 3, but he can now boast some impressive wins as he heads into his Aspera FC 50 bout with Acácio dos Santos. In his only fight on TUF, the 28-year-old Maluco suffered a first-round submission loss to Guilherme Vasconcelos. It’s the only blemish on his record, but it came in an exhibition bout, so he remains officially undefeated. Perez debuted in 2013 and has amassed an impressive set of stoppage wins that includes a knockout, two TKOs and two submissions. His most recent finish came via a spinning back elbow against Fabricio Almeida Goncalves. His last two fights went the distance, but they resulted in a split verdict against former UFC welterweight contender Paulo Thiago and a unanimous nod over UFC multi-division fighter Ildemar Alcântara. Dos Santos can’t claim any wins over UFC stars, but his 9-3 mark does give him the appearance of a solid prospect. This could be misleading, though. “Pequeno” has fallen to such underwhelming competition as the 3-2 Flavio Magon and the embarrassingly bad 2-8 Daniel Chicão, who managed to submit dos Santos in just four minutes. The 25-year-old has been competing since 2013. He did post a recent victory over a 5-0 prospect, so it’s not all bad news for dos Santos. Overall, the Guarulhos Fight Team product has six wins via strikes. He has been submitted twice. 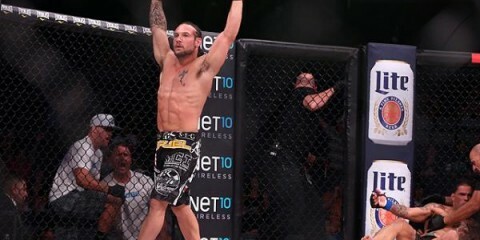 Maluco really could have used another UFC castoff or solid, experienced veteran to cement his status as a middleweight worthy of attention from the UFC or Bellator. Instead, he’s fighting a prospect who has suffered several alarming defeats — a loss to a 2-8 opponent is really inexcusable. If Maluco could outwork Thiago and Alcantara, he should be expected to bring an early end to the night of dos Santos. 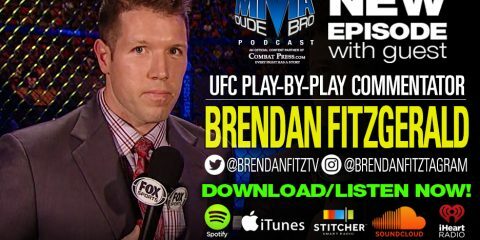 Is Bellator MMA Where Fighters Go When They Can’t Make It in the UFC?